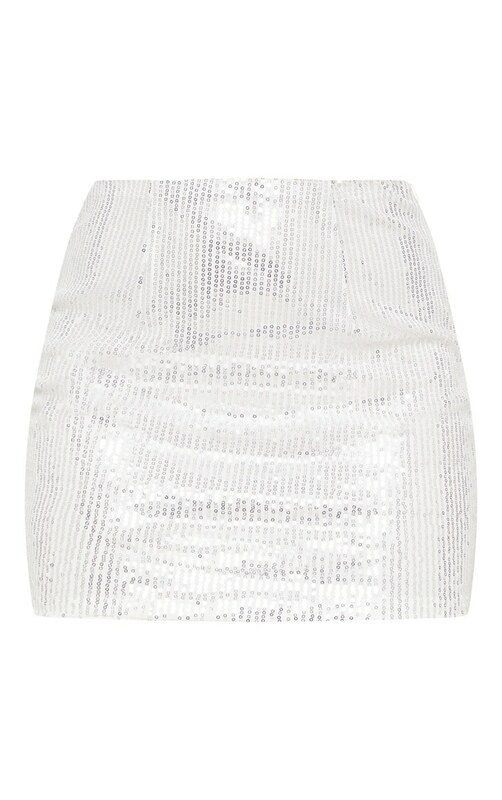 Make a glitzy statement in this silver sequin skirt. Featuring a figure-hugging fit, all over silver sequins and a thigh-skimming length. Team it with a sequin top and killer accessories for a party season look we're obsessing over.